You can earn 2000 Aeroplan mile per stay at Best Western hotels in Canada, USA or the Caribbean Islands between January 20 and April 2, 2016. 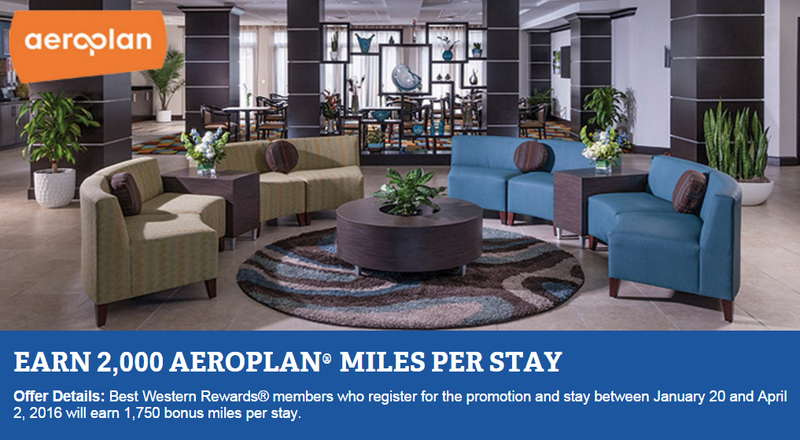 This is a really good bonus for those needing a Best Western stay. Note: please select "Airline Rewards" as the Rewards Preference. Registration is needed.